We accept diving cylinders for both, visual and hydrostatic tests. 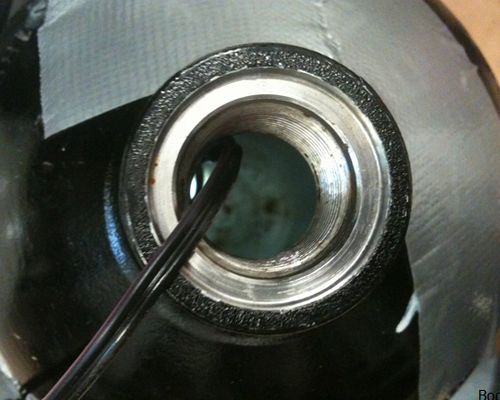 If significant amount of water gets inside the cylinder, it will soon start to corrode. 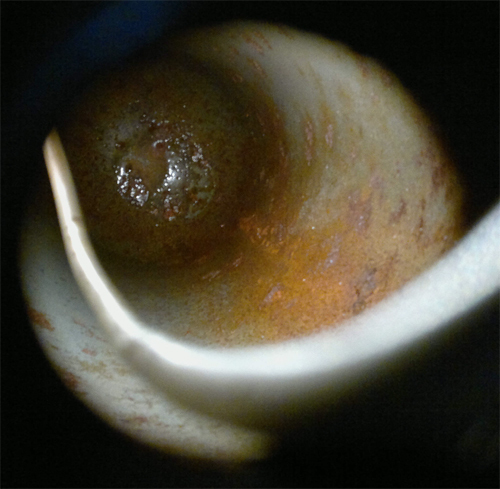 First its just a light flash rust but within time rust starts getting deeper into the steel witch may lead to weakening cylinder shell. Photos below show cylinders with substancial amount of moisture inside. On the bottom we can see some water and large area covered in rust. 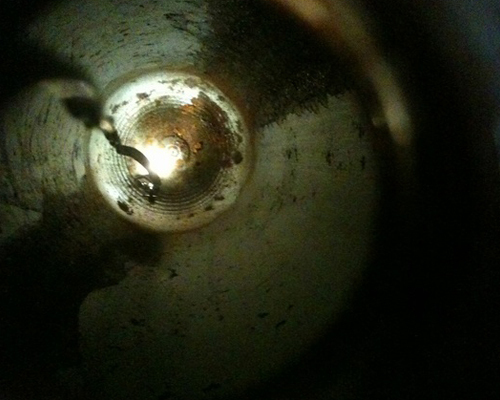 Irrevelant of next test date, a cylinder it this condition should be immediately tested by quailified technician. This way you can make sure cylinder is still suitable for futhere use. If external coating of the cylinder gets damaged, steel could oxydize and rust. Thats exactely tge reason we test pur cylinders. During the test we can establish if our cylinders are still safe to use. New tanks do not have next teat date sticker but withing diving industry in EU we test our cylinders visualy every 2.5 years and every 5 years we perform hydrostatic test. It is not allowed to fill cylinders without valid test.